Wilson House Holiday Park in Garstang sleeps between 4 and 6 people, with the accommodation being holiday homes. 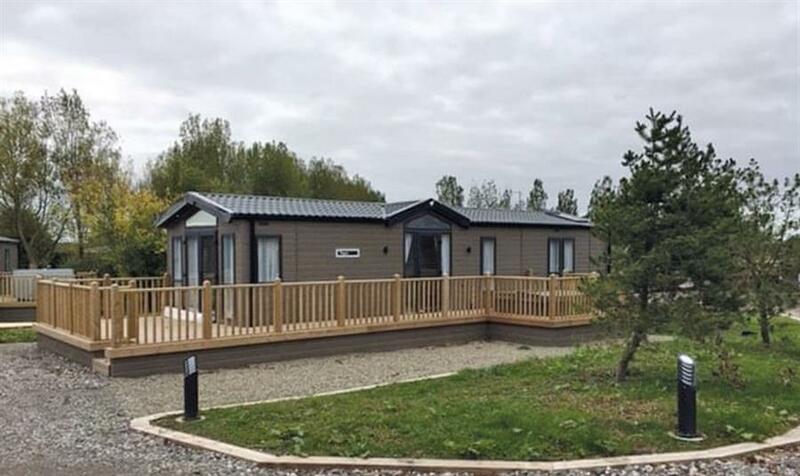 Wilson House Holiday Park is an exclusive adult only holiday park delivering the very best holiday experience in beautiful Garstang close to the Lancashire coast, Blackpool and the Lake District. Each holiday home is positioned to ensure privacy and allows you to make the most of your private hot tub on this tranquil park. Each holiday home is superbly styled with the emphasis on luxury and comfort. Everyone has a contemporary design with its own deck and outdoor hot tub. The secluded countryside setting creates the perfect getaway in this highly desirable and much sought after corner of the country. Wilson House Holiday Park has fishing on-site. If you want to find out what other people have said about Wilson House Holiday Park, read the reviews on Wilson House Holiday Park for more information. And, for those last minute bargains, have a look at some of the special offers available at Wilson House Holiday Park. "Brand new for 2019. Superb holiday home providing exceptional comfort. One master king size with walk through dressing room leading to ensuite bathroom with bath and overhead shower and one twin. Family shower. Open plan layout with fully equipped kitchen. Patio doors lead from lounge to deck area with outdoor hot tub, quality garden furniture and barbecue." "Brand new for 2019. Superb holiday home with contemporary features and master double and one twin both with ensuite shower. Open plan living area and well equipped and modern kitchen. Picture windows create a real sense of space with subtle lighting enhancing the elegant lounge features. Deck with outdoor hot tub, quality garden furniture and barbecue." "Brand new for 2019. Very comfortable holiday home with a host of contemporary touches. One master double with ensuite bathroom with bath with overhead shower and one twin with ensuite shower. Open plan lounge diner with fully equipped kitchen. Doors lead from lounge to deck area with outdoor hot tub, quality garden furniture and barbecue." "Brand new for 2019. Immaculately styled and superbly comfortable holiday home. One master double and one twin both with ensuite shower and one twin. Open plan lounge delivers all the comforts of home, with stunning integrated kitchen. Patio doors lead from lounge to deck area with outdoor hot tub, quality garden furniture and barbecue." "Brand new for 2019. Superb holiday home with contemporary features. One master double with ensuite shower and two twins. Family shower. Open plan living and well equipped and modern kitchen. Picture windows create a real sense of space with subtle lighting enhancing the elegant lounge features. Deck with outdoor hot tub, quality garden furniture and barbecue." "Brand new for 2019. All the comforts of home in this immaculate holiday home. One master double and one twin both with ensuite shower. Velux windows enhance the living space, flooding it with light and creating a real sense of space. Doors lead from lounge to deck area with outdoor hot tub, quality garden furniture and barbecue." Find out about Wilson House Holiday Park, including prices and availability. There aren't currently any special offers at Wilson House Holiday Park however, the special offers shown below are all on parks within 30 miles of Wilson House Holiday Park - so you may find these useful. Holiday at Thirlmere in Lancashire starting on Saturday 27 April 2019 for 7 nights. Holiday at Deer in Lancashire starting on Saturday 27 April 2019 for 7 nights. 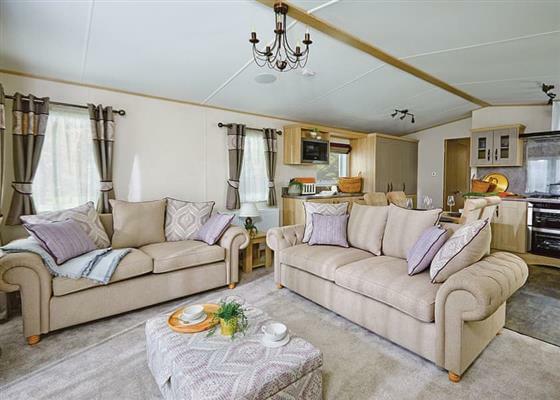 Holiday at Marton Prestige 2 (Sat) in Lancashire starting on Saturday 27 April 2019 for 7 nights. Holiday at Marton Deluxe 3 (Sat) in Lancashire starting on Saturday 27 April 2019 for 7 nights. 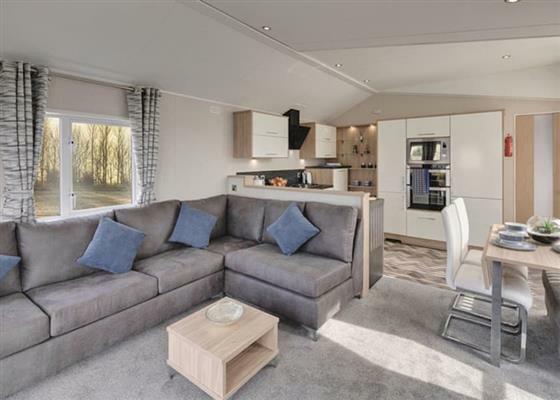 Holiday at Marton Prestige 3 (Sat) in Lancashire starting on Saturday 27 April 2019 for 7 nights. Holiday at Pilling Sands in Lancashire starting on Saturday 27 April 2019 for 7 nights. Holiday at Arnside in Lancashire starting on Saturday 27 April 2019 for 7 nights. Holiday at Bispham in Lancashire starting on Saturday 27 April 2019 for 7 nights. Holiday at Nelson in Lancashire starting on Saturday 27 April 2019 for 7 nights. Holiday at Ellesmere in Lancashire starting on Saturday 27 April 2019 for 7 nights. Holiday at Altharne in Lancashire starting on Saturday 27 April 2019 for 7 nights. Holiday at Gummers How Retreat in Cumbria starting on Saturday 27 April 2019 for 7 nights. Holiday at Thirlmere in Lancashire starting on Saturday 04 May 2019 for 7 nights. Holiday at Nelson in Lancashire starting on Saturday 04 May 2019 for 7 nights. Holiday at Pilling Sands in Lancashire starting on Saturday 04 May 2019 for 7 nights. Holiday at Marton Deluxe 2 (Sat) (Newer) in Lancashire starting on Saturday 04 May 2019 for 7 nights. Holiday at Blakeholme Lodge in Cumbria starting on Saturday 04 May 2019 for 7 nights. Holiday at Lakeland Prestige 3 (Sat) in Cumbria starting on Saturday 04 May 2019 for 7 nights. Holiday at Thirlmere in Lancashire starting on Saturday 11 May 2019 for 7 nights. Holiday at Coniston in Lancashire starting on Saturday 11 May 2019 for 7 nights. Holiday at Deer in Lancashire starting on Saturday 11 May 2019 for 7 nights. 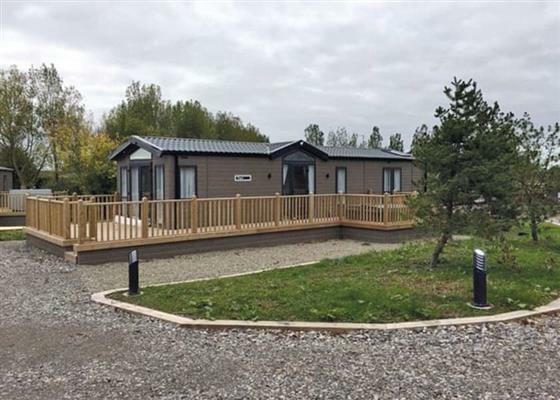 Holiday at Lakeland Prestige 3 (Sat) in Cumbria starting on Saturday 11 May 2019 for 7 nights. 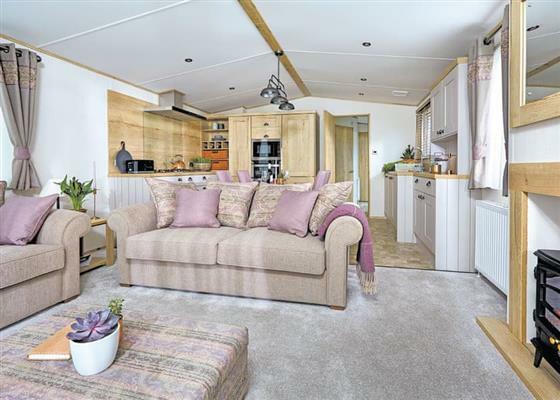 Holiday at Bowness Caravan in Cumbria starting on Saturday 11 May 2019 for 7 nights. Holiday at Deer in Lancashire starting on Saturday 18 May 2019 for 7 nights. Holiday at Lakeland Standard 3 (Sat) in Cumbria starting on Saturday 18 May 2019 for 7 nights. Holiday at Lakeland Deluxe 3 (Sat) in Cumbria starting on Saturday 18 May 2019 for 7 nights. Holiday at Deer in Lancashire starting on Saturday 25 May 2019 for 7 nights. 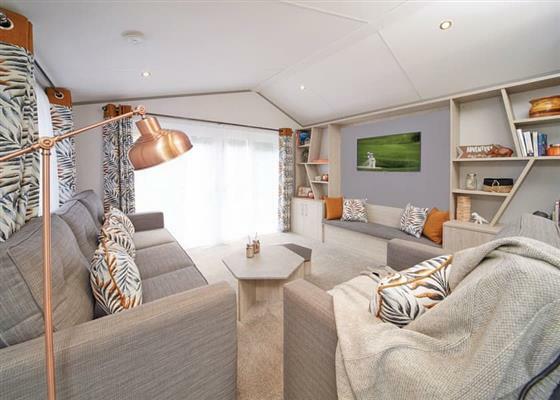 Holiday at Bowness Caravan in Cumbria starting on Saturday 01 June 2019 for 7 nights. There are 81 holiday parks within 10 miles of Wilson House Holiday Park. Boatmans Cottage in Skipton, Yorkshire Dales National Park, and sleeps 4 people. 36 miles. Knott View Barn in Kirkby Lonsdale, Cumbria, and sleeps 11 people. 24 miles. Lane House in Wharfedale, North Yorkshire, and sleeps 6 people. 37 miles. Pound Farm Farmhouse in Crook, Cumbria, and sleeps 10 people. 32 miles. The Boskins in Whalley, Lancashire, and sleeps 4 people. 22 miles. Blea Beck in Askam-in-Furness, Cumbria, and sleeps 4 people. 25 miles. Church View in Ambleside, Cumbria. 38 miles. Abbys in Millom, Cumbria, and sleeps 4 people. 28 miles. Towngate Cottage in Foulridge, Lancashire. 29 miles. Waldeck in Chester, Cheshire. 45 miles. Ing Hill Barn Apartments in Mallerstang Dale, Kirkby Stephen. 43 miles. Pound Farm Farmhouse in Kendal, Cumbria, and sleeps 10 people. 32 miles. Cumberland Cottage in Orton, Cumbria, and sleeps 2 people. 42 miles. Whitecroft in Cartmel, Cumbria, and sleeps 6 people. 22 miles. The Mount in Sedbergh, North Yorkshire, and sleeps 8 people. 34 miles. Rossall Point in Fleetwood, Lancashire, and sleeps 8 people. 6 miles. Beckside Cottage in Penrith, Cumbria, and sleeps 6 people. 45 miles. The Nunnery in Leyburn, North Yorkshire. 46 miles. Kentdale in Ambleside, Cumbria, and sleeps 6 people. 38 miles. Natterjack Cottage in Millom, Cumbria, and sleeps 5 people. 27 miles. Silverholme in Lake Windermere, Cumbria. 30 miles. Holme View in Hawes, North Yorkshire, and sleeps 4 people. 40 miles. Enys in Morecambe, Lancashire, and sleeps 4 people. 13 miles. Root Farm Cottage in Clitheroe, Lancashire, and sleeps 4 people. 16 miles. Tithe Barn in Dalton, Cumbria, and sleeps 8 people. 20 miles. High View in Skipton, West Yorkshire, and sleeps 6 people. 36 miles. White Moss - Number 2 The Terrace in Windermere, Cumbria, and sleeps 11 people. 34 miles. Pen y Pigyn in Afonwen, Clwyd, and sleeps 3 people. 48 miles. Kate's Cottage in Skipton, West Yorkshire, and sleeps 5 people. 41 miles. Smithy Farm in Frodsham, Cheshire, and sleeps 7 people. 44 miles. Tyan Cottage in Kirkby Lonsdale, Cumbria, and sleeps 4 people. 26 miles. Crow Hill Estate - The West Wing in Marsden, West Yorkshire, and sleeps 8 people. 44 miles. Wastwater in Ambleside, Cumbria. 38 miles. Hawkrigg House in Coniston, Cumbria, and sleeps 8 people. 31 miles. Old St. Lukes Church in Kirkby Stephen, Cumbria, and sleeps 6 people. 47 miles. Station House in Hornby, Lancashire, and sleeps 6 people. 21 miles. Oakdene in Sedbergh, Cumbria, and sleeps 20 people. 34 miles. Brookway Lodge in Whitford, Flintshire, and sleeps 18 people. 45 miles. The Refuge in Appleby, Cumbria, and sleeps 5 people. 49 miles. Spen House in Settle, Lancashire, and sleeps 10 people. 20 miles. Elleray in Chester, Cheshire, and sleeps 9 people. 47 miles. Langthwaite in Grasmere, Cumbria, and sleeps 8 people. 40 miles. Candy Cottage in Kirkby Lonsdale, Cumbria, and sleeps 4 people. 25 miles. Oakland House in Holmfirth, West Yorkshire, and sleeps 13 people. 49 miles. Swindon School House in Burnley, Lancashire, and sleeps 6 people. 29 miles. The Old School in Reeth, North Yorkshire, and sleeps 10 people. 49 miles. Marsh Farm in Great Eccleston, Lancashire, and sleeps 11 people. 2 miles. Bank Bottom Cottage in Haworth, Yorkshire Dales, and sleeps 4 people. 42 miles. Hersedd Barns in Mold, Clwyd, and sleeps 6 people. 49 miles. Riven Oak in Kendal, Cumbria, and sleeps 8 people. 29 miles. Gisburn Forest Lodge in Settle, North Yorkshire, and sleeps 5 people. 24 miles. One Clearwater in Carnforth, Lancashire, and sleeps 6 people. 19 miles. Mill Moss Barn in Ullswater, Cumbria, and sleeps 4 people. 45 miles. The Chapel House in Prestatyn, Clwyd, and sleeps 12 people. 44 miles. Scarfoot in Patterdale, Cumbria. 45 miles. Beck View in West Burton, North Yorkshire. 46 miles. Longdale Cottage in Hawes, North Yorkshire, and sleeps 4 people. 39 miles. Eden Lodge in Ulverston, Cumbria, and sleeps 25 people. 21 miles. Old Joiner's Shop in Windermere, Cumbria, and sleeps 12 people. 29 miles. North Dene in Blackpool, Lancashire. 7 miles. Aspen Cottage in Windermere, Cumbria, and sleeps 9 people. 34 miles. Hazel Grove House in Kirkby Lonsdale, Lancashire, and sleeps 12 people. 21 miles. Yew Tree Farm in Penrith, Cumbria, and sleeps 15 people. 47 miles. Stank House Farm in North Yorkshire, North Yorkshire, and sleeps 6 people. 41 miles. Townend Farm in Appleby-in-Westmorland, Cumbria. 45 miles. Gorse Hill in Prestatyn, North Wales, and sleeps 12 people. 44 miles. Gill Cottage in Kirkby Stephen, Cumbria, and sleeps 8 people. 45 miles. Sandfield in Kings Gardens, Southport, and sleeps 12 people. 17 miles. Lower Barn Farm in Ribchester, Ribble Valley, Lancashire, and sleeps 12 people. 15 miles. Deer Close West Farmhouse in Horsehouse, North Yorkshire. 46 miles. Glenwalden in Blackpool, Lancashire, and sleeps 24 people. 8 miles. Lawn House in Low Road, North Yorkshire, and sleeps 8 people. 48 miles. Castle View in Cronton, Liverpool, and sleeps 8 people. 34 miles. Cobwebs in Grange-over-Sands, Cumbria, and sleeps 6 people. 23 miles. Inglenook Cottage in Grassington, North Yorkshire, and sleeps 5 people. 38 miles. Micklethorn in Broughton Hall, North Yorkshire, and sleeps 10 people. 32 miles. Crayke House in Leyburn, Yorkshire Dales National Park. 49 miles. Alondra Cottage in Blacko, Lancashire, and sleeps 5 people. 27 miles. Stainton Cotes in Coniston Cold, North Yorkshire. 30 miles. Bush Green Cottage in Broughton-in-Furness, Cumbria, and sleeps 6 people. 30 miles. Cleabarrow Cottage in Windermere, Lake District National Park, and sleeps 12 people. 33 miles. Bluebell Barn in Kirkby Stephen, Yorkshire Dales National Park, and sleeps 6 people. 42 miles. Wren Cottage in Prestatyn, Denbighshire, and sleeps 5 people. 46 miles. Ross Lodge in Kendal, Cumbria, and sleeps 14 people. 29 miles. Holiday parks starting with : A-B, C-D, E-F, G-H, I-J, K-L, M-N, O-P, Q-R, S-T, U-V, W-X and Y-Z.